USA’s Charlotte Rose put out a strong signal of intent at the 2017 Youth Sailing World Championships in Sanya, China by dominating the day in the Girl’s Laser Radial. Monday 11 December was the first day of competition for 374 of the world’s best youth sailors, from 60 nations, racing across nine classes on Chinese waters. “The Youth Worlds is the top sailors in every country from around the world so that gets me a little nervous,” commented Rose. “These sailors qualified to be here and deserve to be here as much as I am. Just knowing that puts a little of pressure on. Germany’s Anderssohn received a scoring penalty in the opening race and followed with a 12th. She is currently 30th overall but the discard comes into after the third race so she will have opportunities to spring up the leaderboard. Italy’s Guido Gallinaro holds the early lead in the 51-boat Boy’s Laser Radial fleet after a second and a seventh from two races. Norway’s Mathias Berthet and Alexander Franks-Penty stole the show in the 30-boat Boy’s 29er fleet. 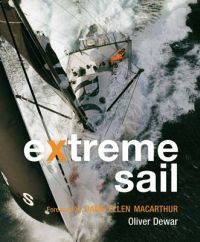 They won two races and finished third in the other and were full of smiles ashore after racing, “We were very nervous at the start because we didn’t have a good feeling in the practice day. I think we managed this pretty well today,” explained a modest Franks-Penty. “We hit the good shifts and that was pretty important. Our starts were very clean and good. Sweden’s Kasper Nordenram and Linus Berglund and France’s Théo Revil and Gautier Guevel follow in second and third. 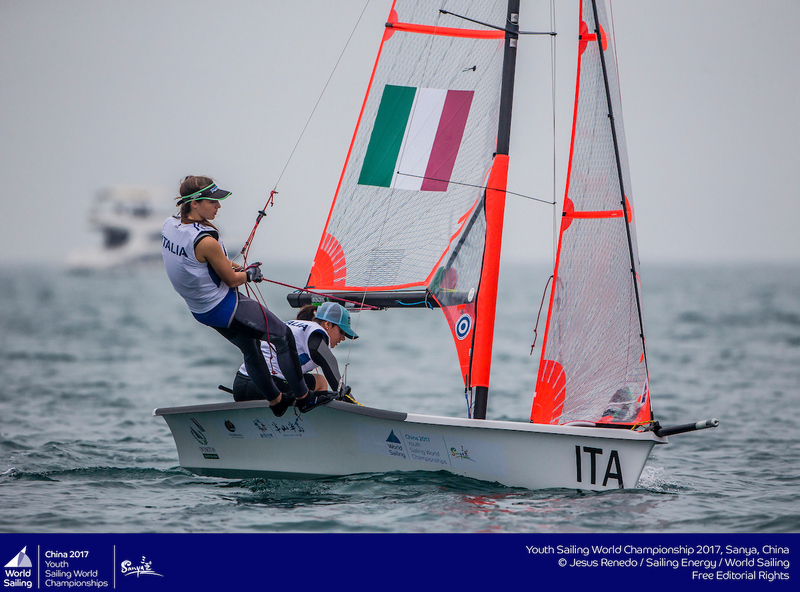 Margherita Porro and Sofia Leoni (ITA) were more impressive in the 20-boat Girl’s 29er fleet, winning every single race. Zoya Novikova and Diana Sabirova (RUS) followed behind in the first two races but dropped to 12th in the final race of the day. They discard the 12th and are two points off the Italians. There was plenty for the Chinese fans to cheer about in the Boy’s and Girl’s RS:X with Chinese sailors firmly placed within the leading bunch after three races. Ting Yu (CHN) leads defending champion Emma Wilson (GBR) by one point in the Girl’s RS:X fleet following two race wins and a third. Giorgia Speciale (ITA) and Yarden Isaak (ISR) are in contention in third and fourth. 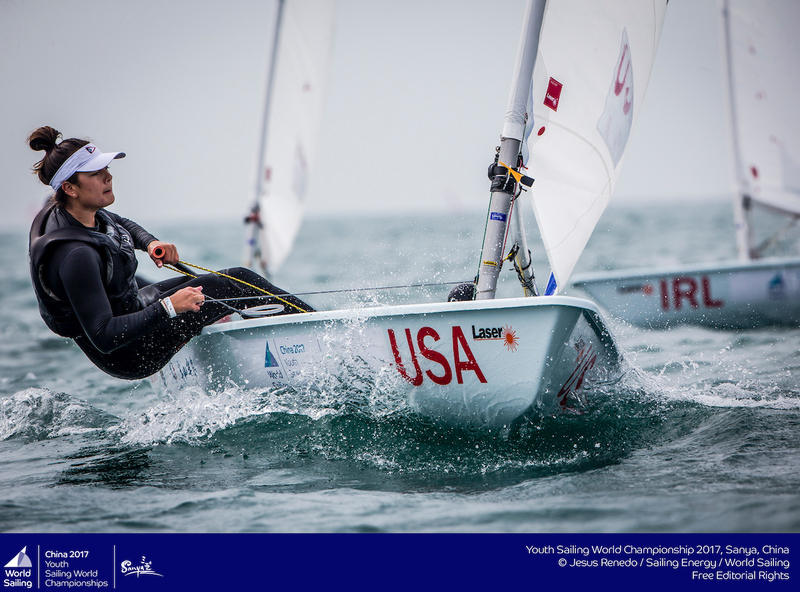 Hao Chen (CHN) is one point off leading Israeli sailor Yoav Cohen following three races in the Boy’s RS:X. Alongside a third, Cohen picked up two race wins. Chen took the final race win of the day. In the Boy’s 420, Ido Bil and Noam Homri (ISR) lead the pack after a race win and a second. Australia’s Otto Henry and Rome Featherstone follow in second and USA’s Thomas Rice and Trevor Bornarth are third. In the Girl’s division, Israel’s Linoy Korn and Yael Steigman lead Carmen Cowles and Emma Cowles by two points. 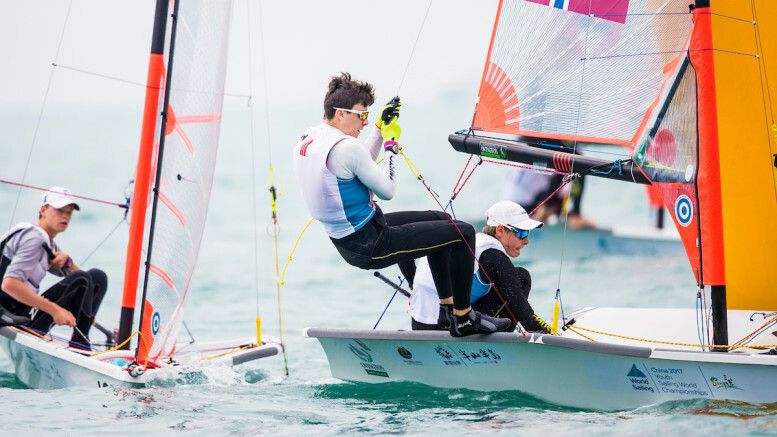 Belgium’s Lucas Claeyssens and Anne Vandenberghe (BEL) were in firm control in the Nacra 15 winning two races and picking up a second in the other. The Youth Worlds is open to competitors under 19 which makes the young teams form even more impressive as Claeyssens is just 13-years-old.